The truncated week combined with a sudden influx of interruptions has left your PopCulteer a bit flummoxed this week. As I have been known to do in the past, when faced with adversity and chaos, I elected to punt. The essay originally scheduled for today will be postponed until next week so that it can be re-written, thought-out a bit better and extensively proofread before seeing print. In its place today I will run a photo essay of random images from the last couple of months of 2018. 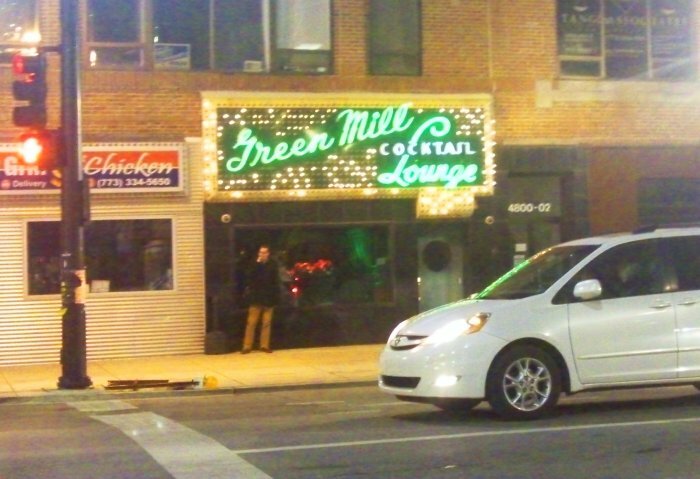 Many of these are leftover from the early-December trip to Chicago, but others are local and date back to November, when a lot of cool stuff happened while I was compiling the Proust-length 2018 PopCult Gift Guide. 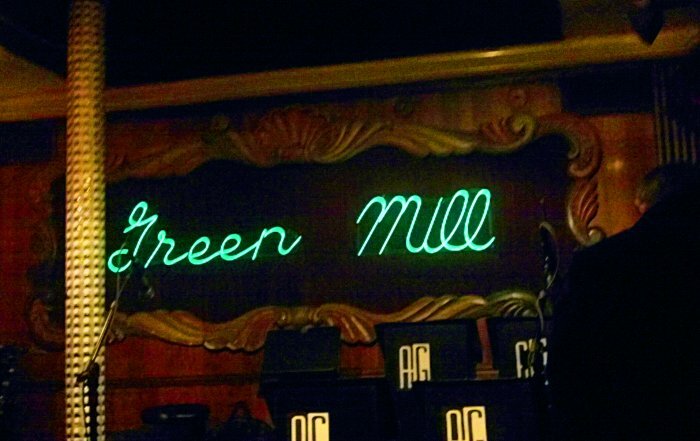 Among the Chicago images you’ll find a few from The Green Mill, the legendary nightclub where your PopCulteer and his wife spent an evening enjoying the sounds of Alan Gresik’s Swing Shift Orchestra. 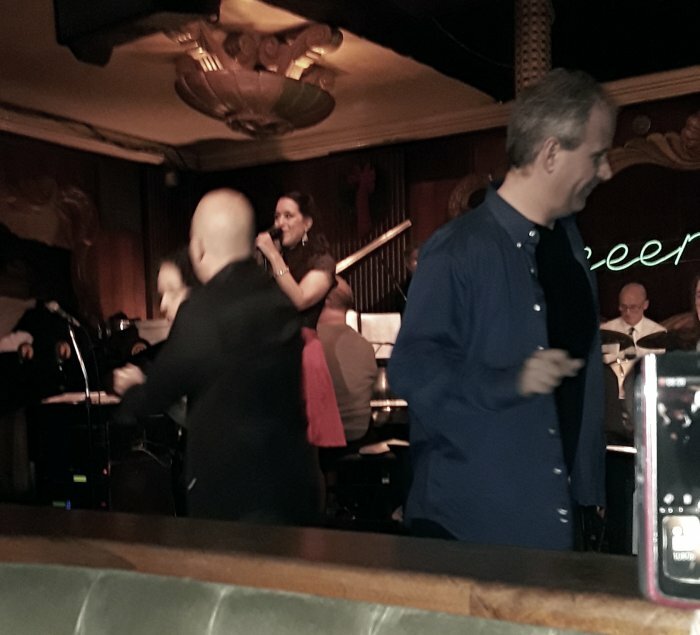 I was so impressed by this genuine Big Band Swing music that I included a tune from that night in the latest video episode of Radio Free Charleston, which debuted last Sunday night and you should go watch RIGHT HERE if you haven’t already. This latest installment of our video show also includes music from Brooke Brown and The Velvet Brothers, and even more of our trademark mind-hurting weirdness. Each photo will have a caption, and chances are that this week’s PopCulteer will be filled with typos…moreso than usual…because I’m cranking it out in a hurry. 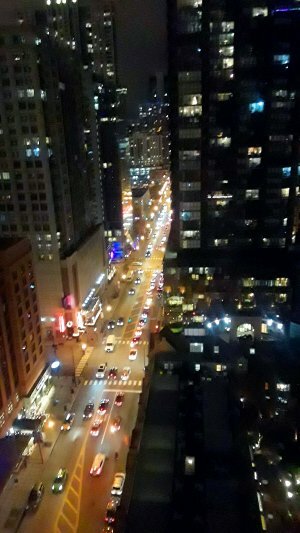 The lead image of this post is a Chicago nightscape, as seen from our hotel window. 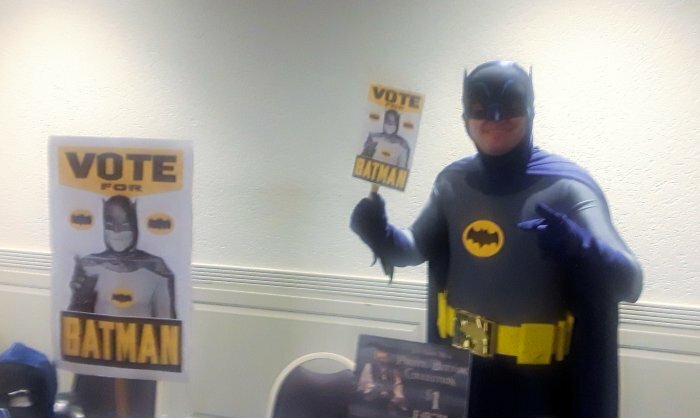 Hopefully this photo essay will have something for you to enjoy, be it Batman, wrestling, toy news, travel photos or whatever. It’ll help us get this year off to a random and disorganized start! 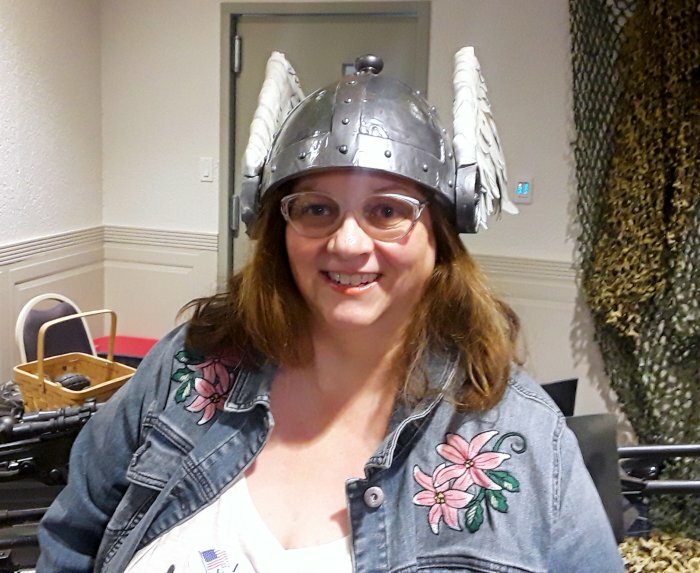 Seen at MSPX. This is not the announcement of Richard Ojeda’s presidential campaign. 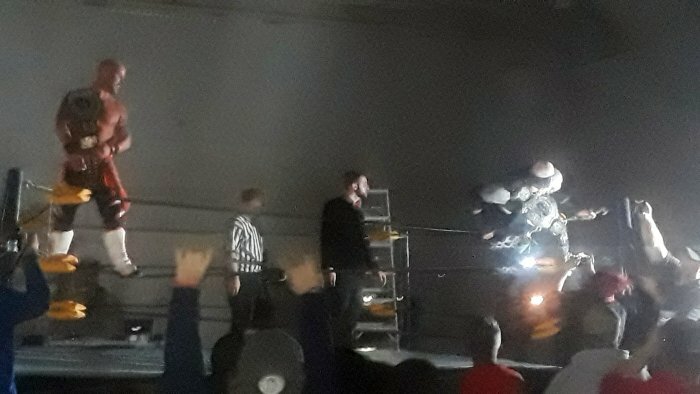 A sudden power outage happened duiring the final match of the Woody Numbers Memorial Show, put on by IWA East Coast wrestling. The show was finished, illuminated by cellphones held up by the audience. It was freaking amazing. 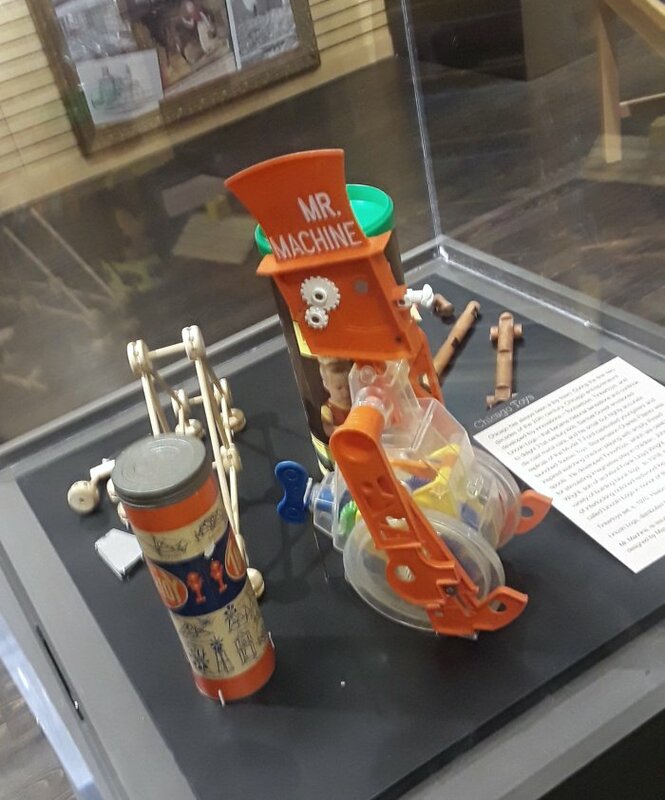 Two floors below street level, in the super-tall Willis Tower, we found a little museum display saluting the genius of toy designer, and Chicago legend, Marvin Glass. 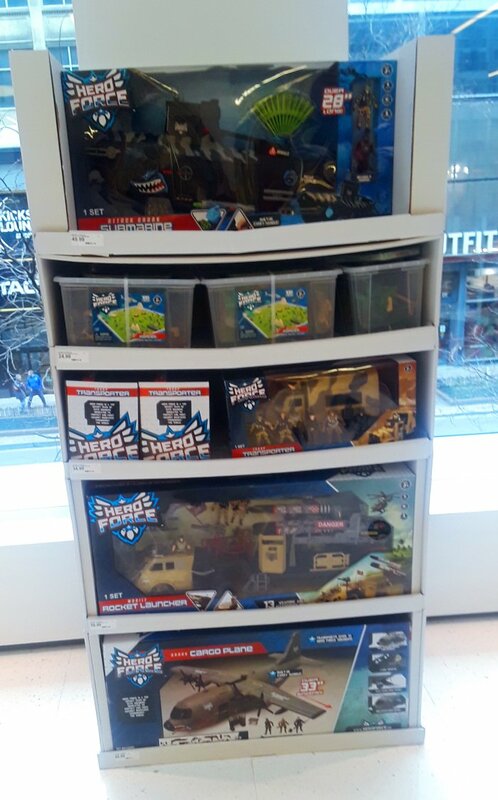 At the Target store in The Loop, I chanced upon this full cardboard display showing off their line of repackaged former Toys R Us Exclusive “True Heroes” toys, now dubbed “Hero Force.” Coming soon to a Target near your. 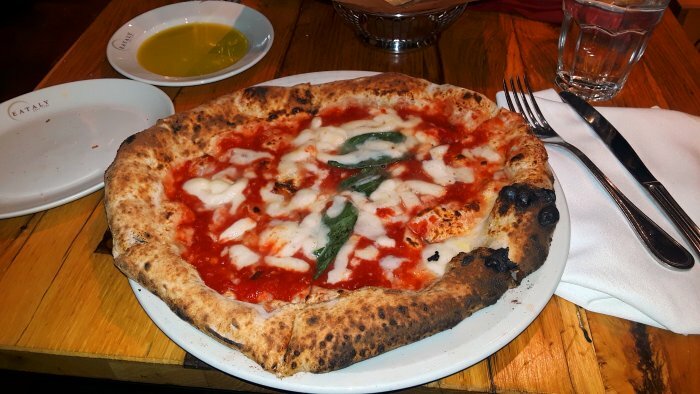 I don’t often take pictures of my food, but when I do, I’m usually at Eataly, about to dig into their incredible pizza. When you’re in Chinatown, and it’s below twenty degrees outside, the only natural thing to do is stop in for some elaborately-decorated ice cream. 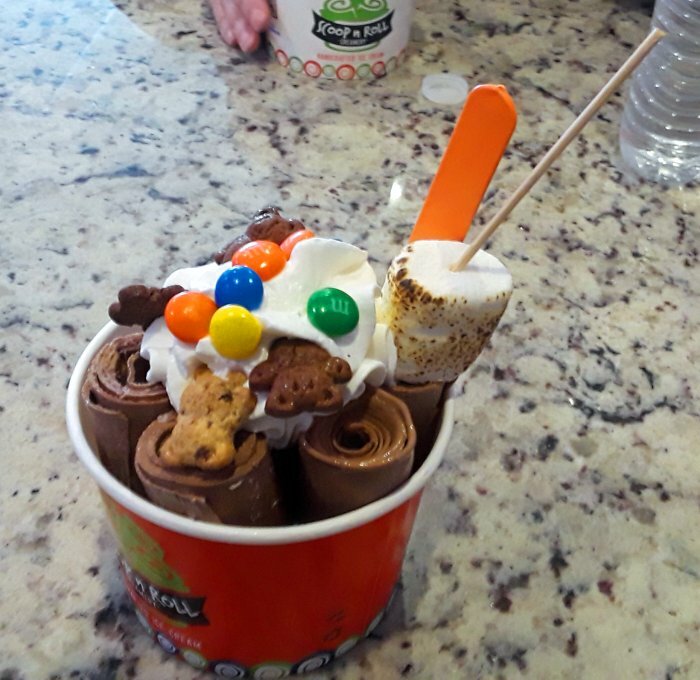 I couldn’t finish it. Mel had to. 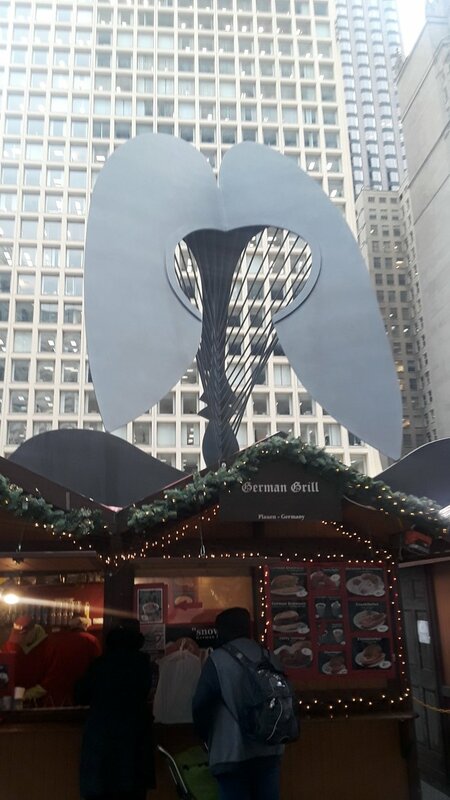 The Picasso in Daley Plaza stands guard over a Weinersnitzel stand at Christkindl Market. 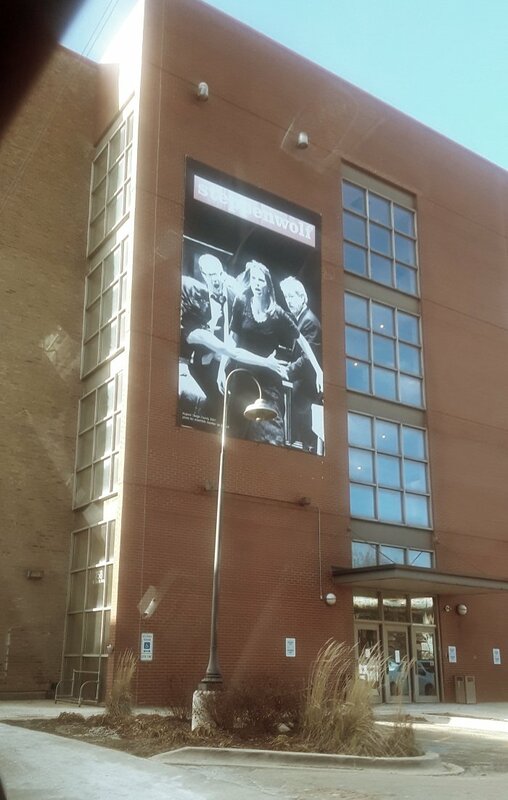 This painted billboard for Steppenwolf Theater’s production of “August, Osage County” always elicits a “Squee” from Mel when we see it from the Brown line of the L. It was cool to get a photo from ground-level. 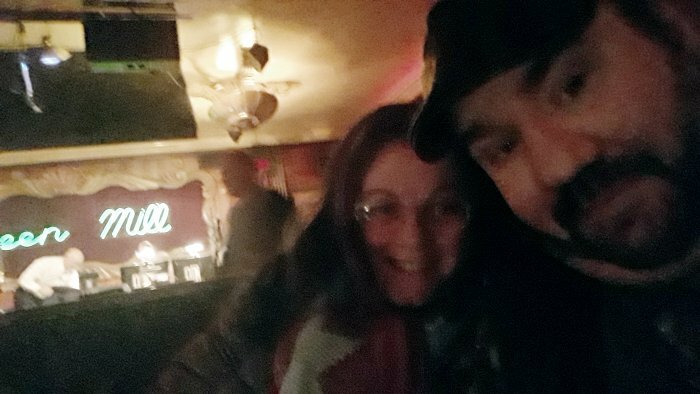 Attempted selfie in the dark before the show. There’s something pretty epic about this. It’s great seeing so many people Swing Dancing, at least after you stop trying to shoot video of the band it’s cool. 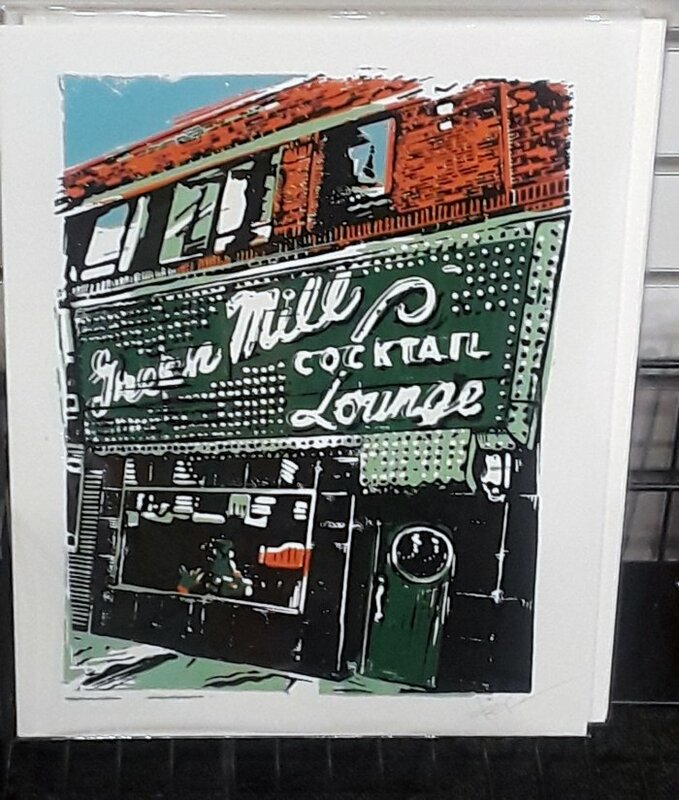 The Green Mill is such a legendary venue that the Chicago souvenir shops sell posters of it. With that, we close the random image file and prepare to put our nose back to the grindstone to bring you more fresh content every day here at PopCult. That is this week’s PopCulteer. Check back for all our regular features, and prepare yourself for a new programming schedule to be unveiled on The AIR next week. Oh, and Happy New Year. Let’s hope 2019 turns out to be a bit less dystopian than it looked in Blade Runner.